Fill in the simple form below and get a bus hire or transfer estimate. Our specialized Sales team will call you back. Our sales team is here to assist you. If you require any form of bus/coach hire services contact us today and a service agent will all you back. Let us help arrange your logistics. 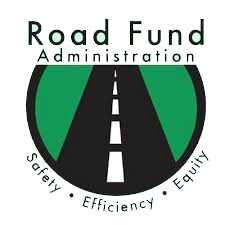 Rent a bus or coach for any requirement you have. Contact us today for any bus rental enquires. 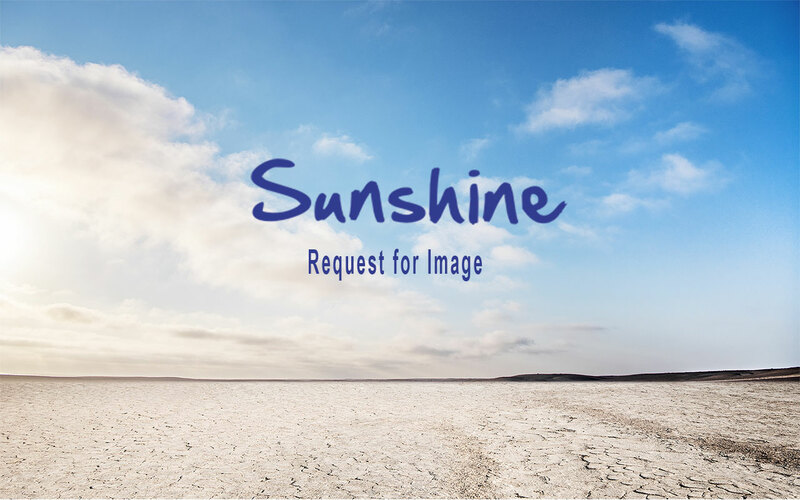 Vehicle maintenance is at the top of the list of priorities at Sunshine Tours, as it . 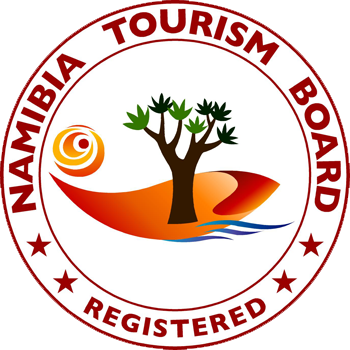 We offer full private transfers from anywhere in Namibia, including airport transfers. We can take care of your corporate logistic and employee transport nightmares. 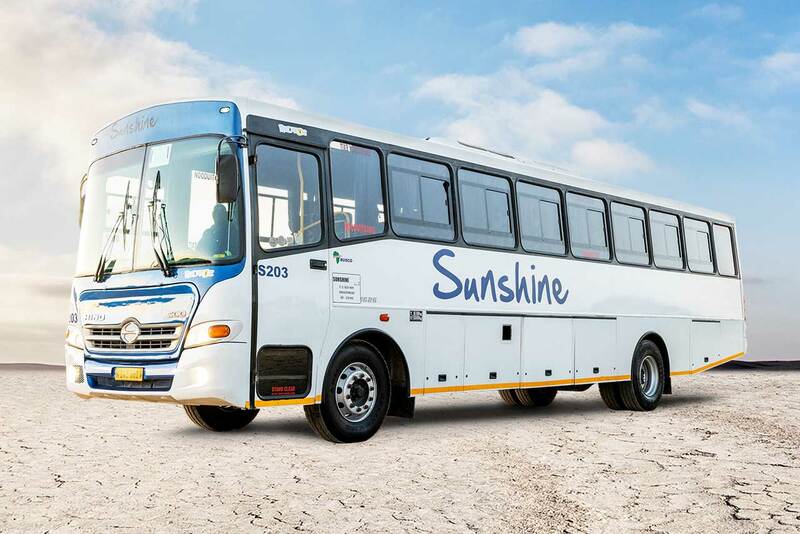 Sunshine Tours was established in 2003 with only one bus in its fleet. 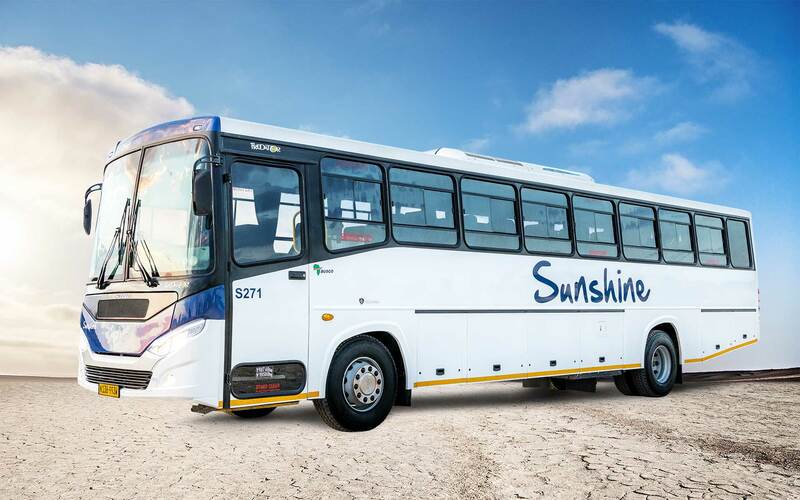 Slowly but surely one bus became two and two buses became four and today Sunshine Tours is proud to have a fleet of more than 110 vehicles. 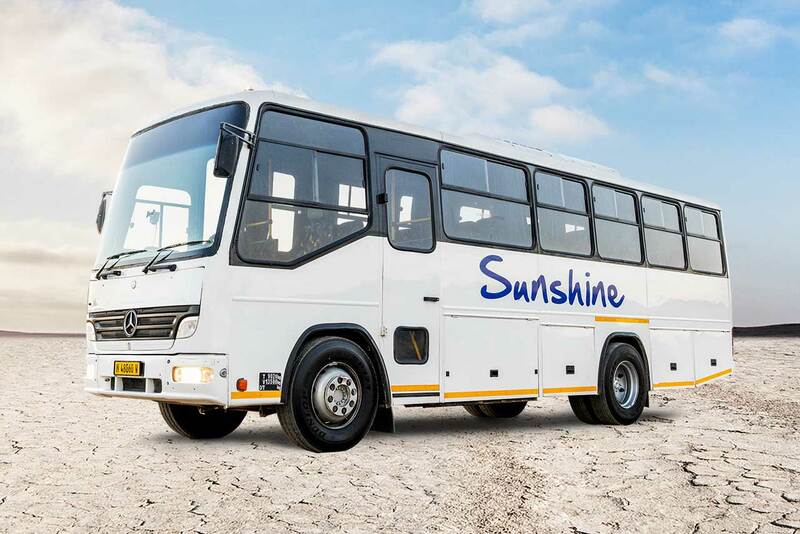 Since then, Sunshine Tours opened offices and depots in Karibib, Windhoek and Otjiwarongo with its head office situated in Swakopmund. 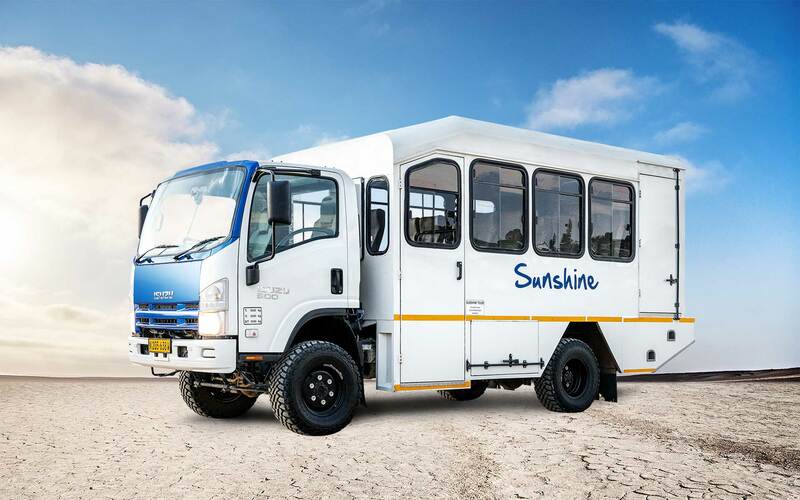 Vehicle maintenance is at the top of the list of priorities at Sunshine Tours, as it is no secret that proper vehicle maintenance and safety go hand in hand. We make use of a specialized fleet maintenance program to ensure all vehicles are kept in immaculate condition all year round. Furthermore, Sunshine Tours has a cleaning crew that work around the clock to keep the buses spotless and looking like new. 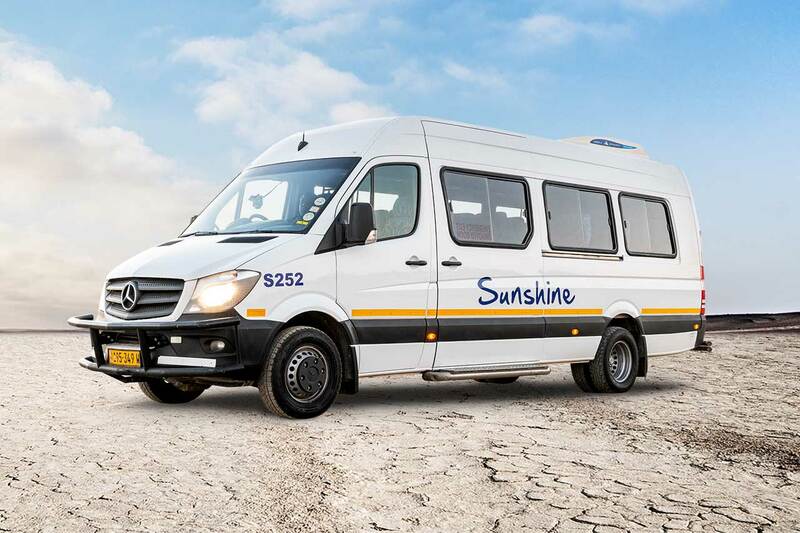 Leadership by Example – this is unquestionably the best way to describe Sunshine Tours because when it comes to safety, reliability, comfort and affordability. We are without any doubt leaders by example. We help tourism travel companies transport their clients so they can focus on what they are good at. 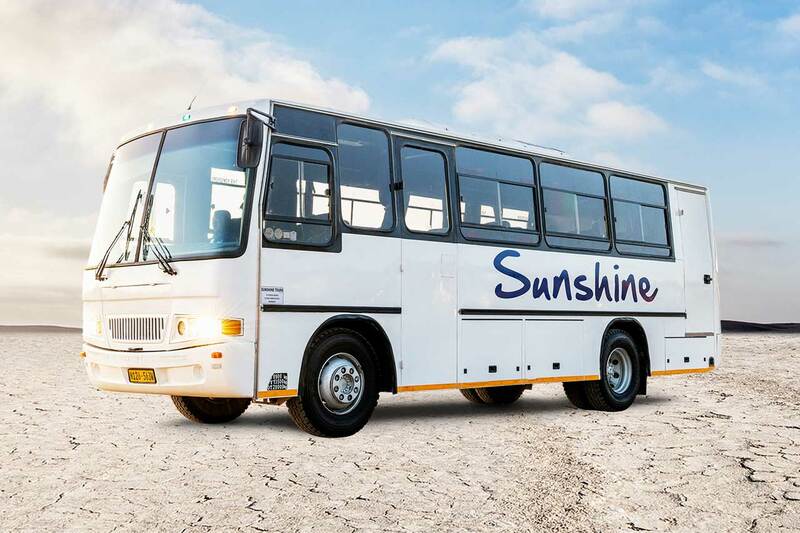 Sunshine Tours, your preferred Coach Hire and Bus Rental company. We strive for excellence.